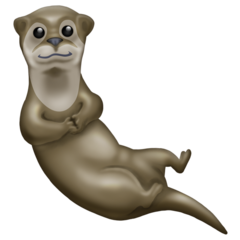 🦦 is an emoji featuring an otter. It was introduced with Unicode 12.0 in 2019. 🦥 is an emoji depicting a sloth. It was introduced with Unicode 12.0 in 2019.